Ok, I know it is after the holiday and it is almost 2013, like just a couple hours to go. But I have one more company to talk about from the Holiday Gift Guide and its a good one. I love taking lots of pictures, but then I don't really do much with them. I like to share them online and with you all, but after that I honestly don't do much. I was recently contacted by Mailpix to try out their site and I am loving it. Mailpix turns your treasured pictures into memories. They have so many ways to make those pictures special. You can have your pictures printed in many different sizes from wallet size to a 20X30 poster. You can even make a photo collage from 8X10 to 20X30. I know that photos are often shared and kept online, but take it from me.. you want some prints. After having my computer with all of my pictures on them stolen I regret not having more in prints. You can also make a photo book on Mailpix. They have many different designs available. I decided to get a few great gifts for family. The first thing I wanted to get was something special for the grandmas. I picked out a fun canvas print with a photo of the boys for my mom. I decided on the 11X14 size. My mom has lots of wall space for a print so I thought this would be great. I even titled across the top with Grandma's Boys. The canvas print has wrapped edges and soft texture. Canvas prints come in 8X10, 11X14, 12X12, 16X20, 20X24, and 20X30. 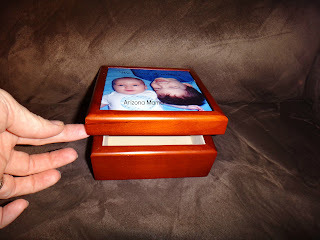 And for my Mother in Law I decided on a Keepsake Box with Photo Tile. She lives with my brother in law and his children. She does not have as much wall space so I thought the box would be something special for her. I put a caption on the box that said, "We Love Grandma". The box is beautiful. The box has a glossy wood finish, a square ceramic photo tile, and the inside is lined with white felt. The box is perfect for jewelry, trinkets, or any small keepsakes. 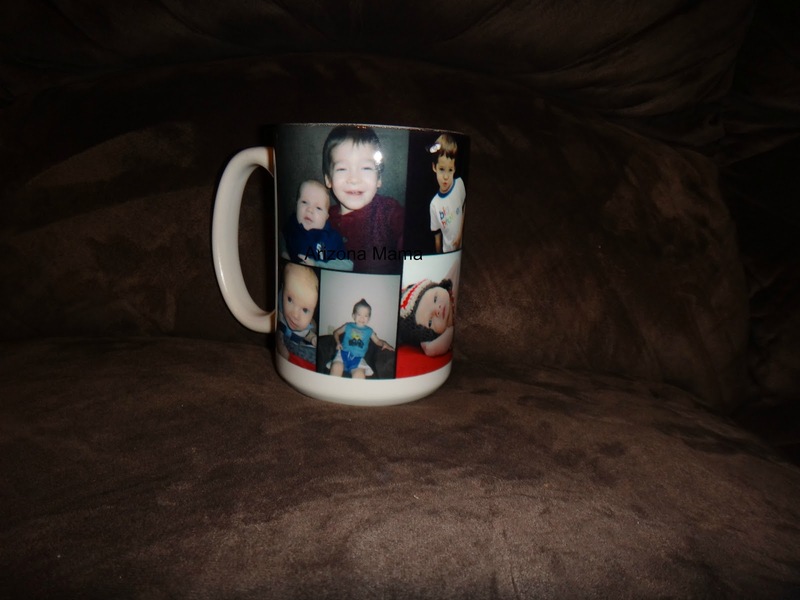 I also picked out a couple of other gifts like a 15oz Photo Mug for my grandma. I was able to design it with lots of pictures of the boys. This is a great gift for anyone that likes coffee or tea. The mug is over sized and made from high quality ceramic. I really liked that I was able to add many pictures to cover the whole mug. I made a small brag book of photos for our baby sitter also. She is more then a baby sitter as she has watched Jayden since he was 3 months old. She has grown close to Jayden and now with Evan. She loves and cares for our boys everyday while we work. She is very important and special to us. She has always loved getting pictures of the boys so a photo book of them from baby to now, including some with her and Jayden was just right for her. The last items I had to get were a couple of photo ornaments. I really liked the snowflake ornament and decided to make this Evan's first Christmas ornament. I picked a cute holiday photo of him and added his full name across the bottom. The snowflake has a beautiful glossy shine and the photo turned out perfect on it. The second ornament I picked was the ball ornament. It is a white glass ball with decorative holiday design on one side and a photo on the other. I decided to put a cute photo of the boys together on this one. I labeled it Christmas 2012. I had so much fun picking out items and adding pictures to them. As you custom design things your able to move the picture around and see what works best. Mailpix has a Deals page where you will find lots of coupon codes for discounts. Mailpix offers free unlimited photo storage for life. In addition right now you can get a free Picture Keeper with your order, just pay the shipping. I love Picture Keepers, they are great for keeping your pictures safe. Now as the holidays end I'm sure you have lots of great pictures that you'd like to display. Check out all the great ways to use your images at Mailpix. Also, enter below for a great photo gift. Win it: One (1) Arizona Mama Reader will win their choice of a Keepsake Box with Photo Tile or a 11X14 Canvas Print. Thank you to Mailpix for sponsoring this post and giveaway. I really love their fleece blankets. I think it's great that they offer kits for converting your old movie reels, video tapes and photos to DVD. I like the fleece blankets. My neighbor ordered one and it was so nice. I love to have a 20x24 Photo panel. I like the photo fleece blankets. 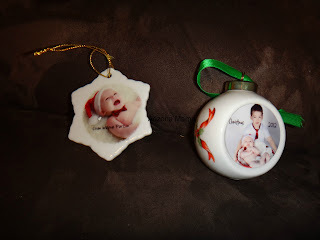 I love the personalized ornaments, what a great gift idea! I like that you can get 100 free prints when you join. their photobooks look so fun to put together! I like the photo canvases. The magnets are also great. I love the Kindle cases. Share your most recent Holiday, New Year and Winter photos in a 20 Page 4x6 Brag Book on us! Only pay shipping. I like their personalized ornaments. I would like the canvas print!